Yesterday’s Lovecraft eZine Chat is now available in podcast audio format, for those of you who missed the live video stream. Mostly we talked about recent fiction, and a bit about upcoming books, including writers and editors such as Justin Steele, Sam Cowan, Philip Fracassi, Jon Padgett, Mary SanGiovanni, Aaron J. French. We also spent a bit of time discussing my novel Hieroglyphs of Blood and Bone. You can also click the link to yesterday’s post about the chat to view the archived YouTube video. My fellow panelists included Rick Lai, Philip Fracassi, Peter Rawlik, Matthew Carpenter, Kelly Young and host Mike Davis. It was a fun chat, and I enjoyed the opportunity to talk books and writers, and even to mention my favorite recent TV discovery, The Expanse. Today I’ll be participating in the Lovecraft eZine chat, 3PM Pacific / 6PM Eastern. I’ll be participating as a panelist, rather than as guest interviewee, but we’ll probably talk a little bit about my new Journalstone novel HIEROGLYPHS OF BLOOD AND BONE. If you don’t see the video window above, follow this LINK. 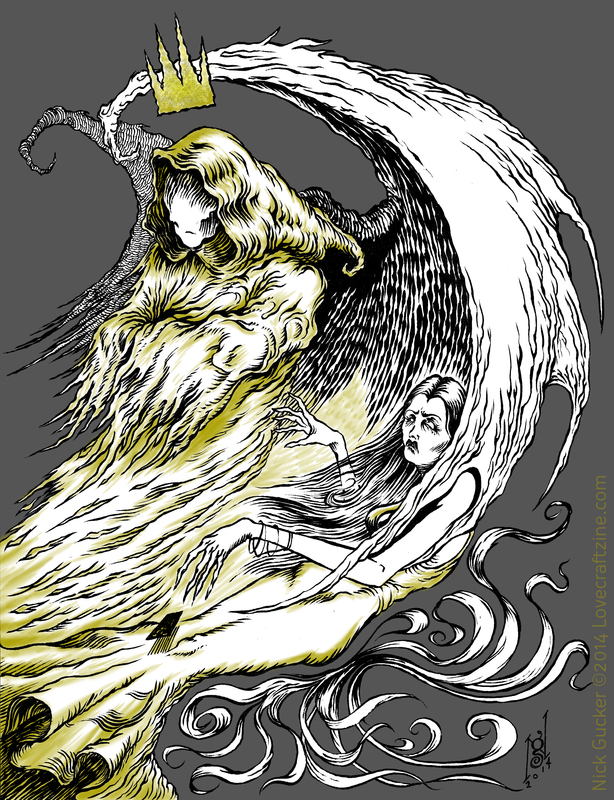 If you missed yesterday’s Lovecraft eZine chat, where I appeared along with Molly Tanzer, S.P. Miskowski, John Langan, and the regular panelists including MADNESS OF DR CALIGARI editor Joe Pulver, the Lovecraft eZine page featuring the chat is HERE. Of course, you’re always encouraged to pick up a copy of the book! My story “Endure Within a Dying Frame,” which concerns an obsessive theoretical mathematician and his search for ultimate bliss, appears today in the latest installment of The Lovecraft eZine, issue number 38. Free Lovecraftian fiction: “Lovecraft eZine” 38 is now available! My thanks to Publisher Mike Davis and editors Alex Kreitner and Matthew Carpenter for including my story, and Heather Landry for the wonderful, wild and trippy illustration! Also, check out this cover (art by Jay Campbell)! I’ll post again with links when the issue is available to read. 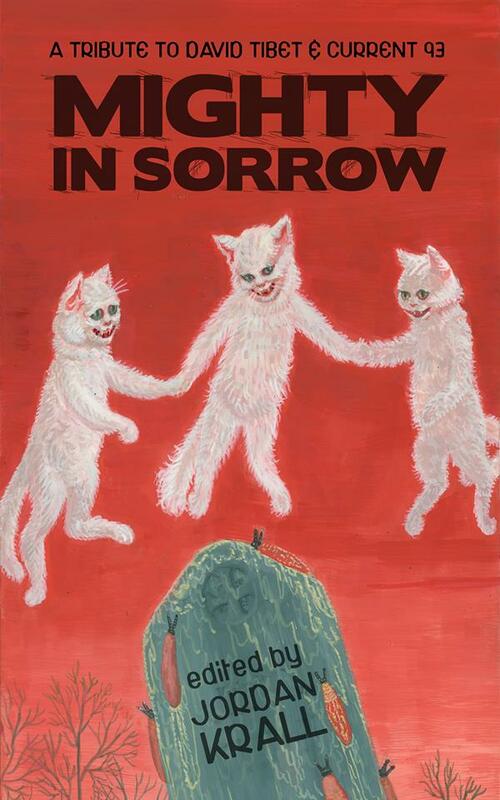 I enjoyed myself on yesterday’s Lovecraft eZine chat. We talked a lot about The Lure of Devouring Light, spent some time discussing individual stories and also talked more generally about my approach to characters, relationships, and themes in my work such as nature. It should be available in audio format soon, and I’ll post a link at that time. My thanks to host Mike Davis and panelists Joe Pulver, Pete Rawlik, Rick Lai, S.P. Miskowski, Kelly Young, Matt Carpenter and Philip Fracassi. I will be appearing as a guest on the Sunday, August 14 Lovecraft eZine video chat. If you can’t watch it live, you can always check out the video on YouTube later. I’ll post a link here after it’s available, but for now, the link to access all previous eZine chats in video and audio versions is HERE. If you’re a regular viewer of the Lovecraft eZine chats, or if you plan to watch to catch my interview, I’ll see you Sunday the 14th! There’s a lot happening on the publishing front in April, May, June and July. It’s funny, the same thing happened last year after a dry spell – four publications in four months, then another dry spell. 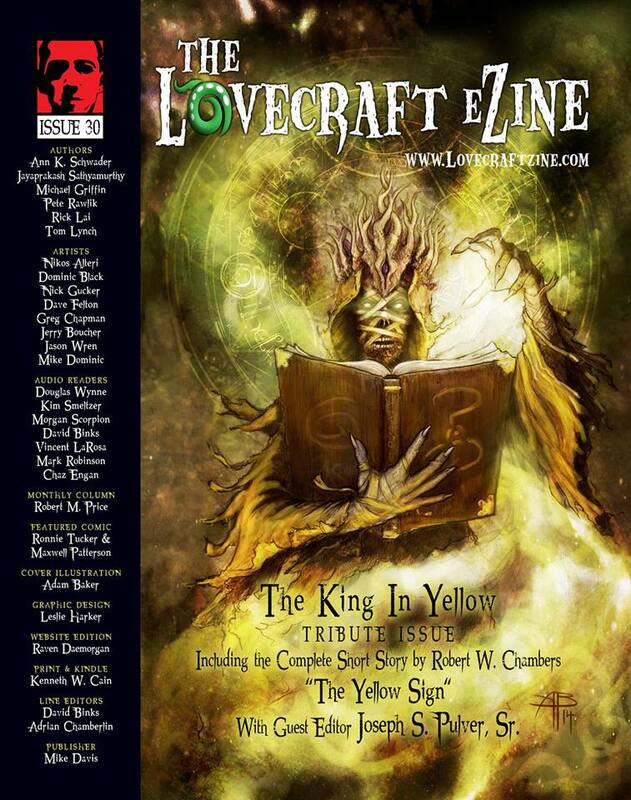 Last week saw the publication of the April Lovecraft eZine, a special King in Yellow issue guest edited by noted Chambers-obsessed madman, Joseph S. Pulver Sr. This issue includes my long story “No Mask to Conceal Her Voice. Not only is the eZine be free to read online, but you can also order a print copy if you prefer. The Kindle ebook version is available on Amazon. Publisher Mike Davis gave me a print copy at the H.P. Lovecraft Film Festival, and it looks fantastic. 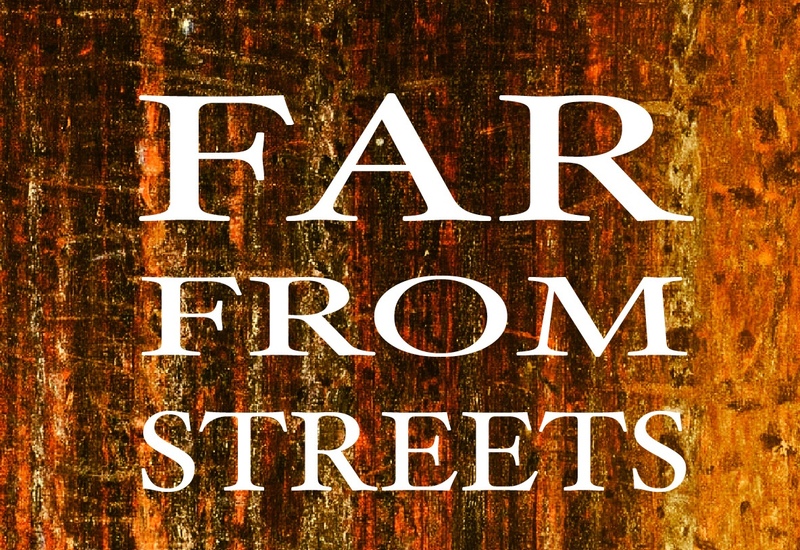 Soon I will have some more information, and maybe a pre-order link, for a limited edition chapbook of my novella, “Far From Streets.” This is a dark and strange story of a marriage, a cabin in the forest, the way time sometimes slips away from us. I think of it as a cross between “The Willows,” the classic story by Algernon Blackwood, and Antichrist, the recent film by director Lars von Trier. I’ll hold off on sharing the cover for now until the publisher is ready, but here’s a little hint. 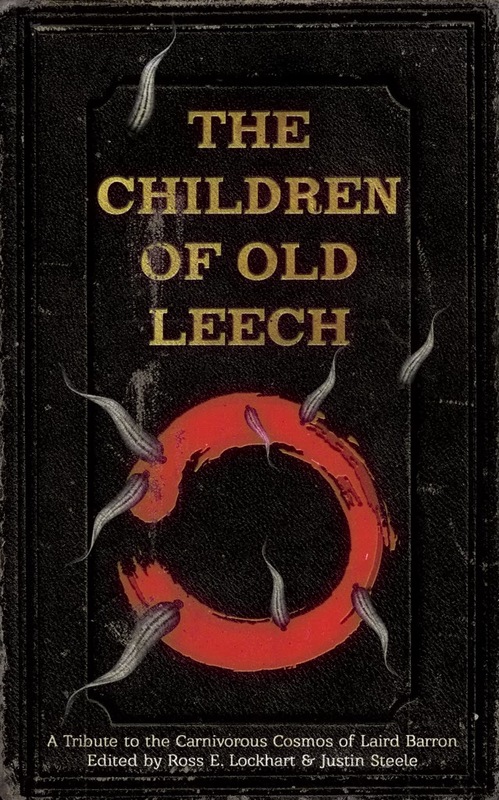 You can preorder Children of Old Leech and receive the hardcover along with an ebook version. Here’s that link again because you just know you wanna grab this book! 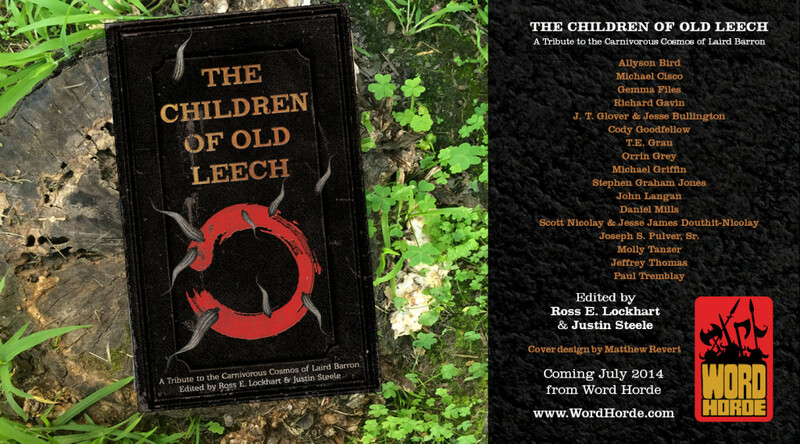 Lastly, the Children of Old Leech ad card from Word Horde listing the authors included. That’s quite a bit of stuff coming, and I hope to have even more to announce soon.